I would say that creating a cocktail is rather similar to creating a work of art or a piece of music. Cocktails begin in the mind, are tinkered with in the mixing tin (often several times over) and then presented to the public to behold, taste, feel and enjoy. When I make a piece of music, it always begins in my mind, then I go to my instrument, work on the main theme over and over until it is ready for supporting layers. Finally, upon completion, I present my piece of music to the public for them to hear, feel and enjoy. For this drink, I began, in my mind, with the 18.21 Tart Cherry + Saffon Bitters. The profile of these bitters is Cherry on the bottom and in the back, Saffron up front and on top. 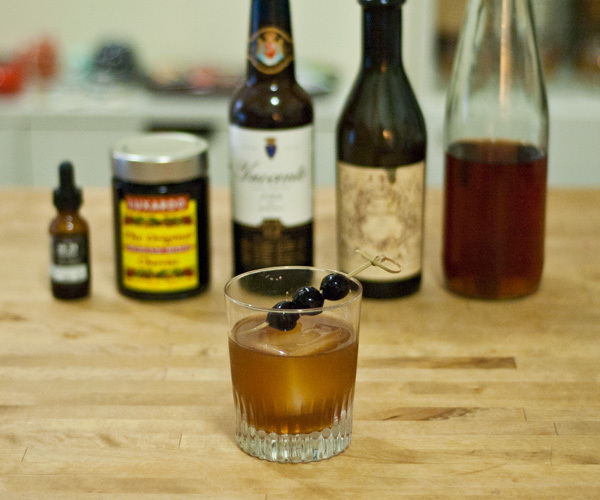 I wanted to bring out the Cherry a bit more, so I added the syrup frrom Luxardo Maraschino Cherries. Then I knew that I wanted a complex set of modifiers, which came in the form of Carpano Antica and Inocente Fino Sherry. The hardest ingredient was actually which spirit to use for the base. After much trial and error, I decided that I wanted a spicy Bourbon and Elijah Craig 12 Year was perfect. What is Rothko 1957? 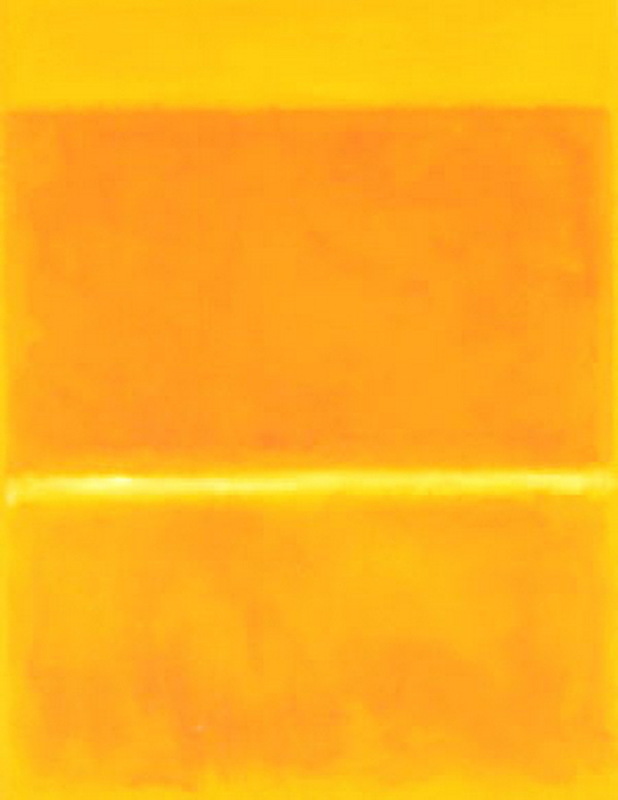 The name is a reference to a painting by Mark Rothko, Saffron 1957. Yeah man, we’re making art, man. Combine ingredients, add ice and stirrrrrr until proper dilution has been achieved. Strain into Rocks glass with Ice. 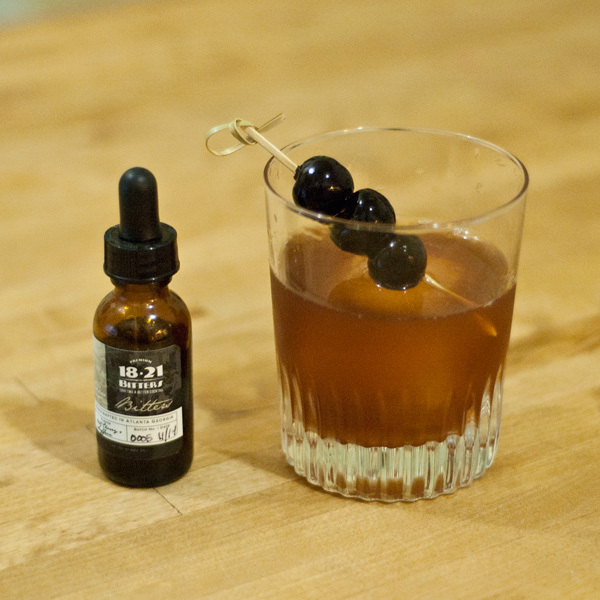 Garnish with three Luxardo Maraschino Cherries. *In my mind, if you’re not getting some snooty pooty Brandied Cherries, these are the only cherries to buy. Never get the bright red ones, so gross. Thanks again to 18.21 Bitters for their sensational Tart Cherry + Saffron Bitters! We are delighted that you made #snootybooty art cocktails with the bitters!! This is what’s for dinner at our house! Awesomeness! !